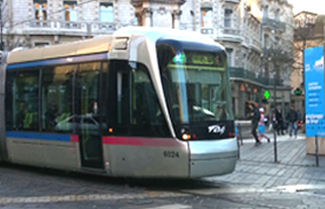 Grenoble city area relies on CXR ruggedized switches for its multiservice network for ticketing, Building Management System, video surveillance and tramway traffic signaling. Grenoble area is made of 28 cities associated in developing a large public transport network which is adding its fifth Tramway line. 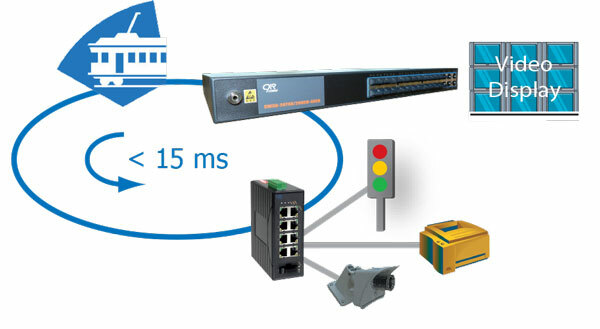 CXR Ethernet switches carry the multiservice traffics for ticketing, Building Management System, video-surveillance and Tramway signaling. A secured optical ring with ultra-fast resilience is made of a hundred ruggedized Gigabit Ethernet switches. Various application traffics are isolated into VLAN with Quality of Service and Prioritization controls. Grenoble area operators were convinced by CXR equipment robustness and especially by their 15 ms ultra-fast resilience protocol in large scale Ring topology. Also, CXR has specialized in Transport networks where it brings a comprehensive communication portfolio and global assistance from feasibility to deployment.